I’ve been short on food posts lately, so today I’m scrolling through my camera roll and posting the various meals I’ve remembered to photograph recently. 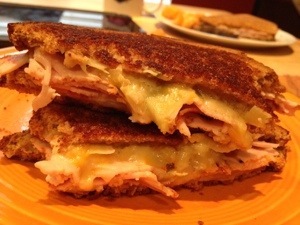 Grilled cheese sandwich with turkey and jalapeño artichoke spread. One of the best sandwiches I’ve eaten ever. Just made it up. 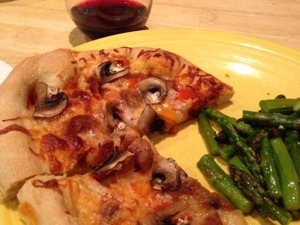 Homemade pizza. When the weather is nice, I use this grilled flatbread recipe for the crust, and Brett grills the pizzas. Quicker crust prep time and doesn’t heat up the house. 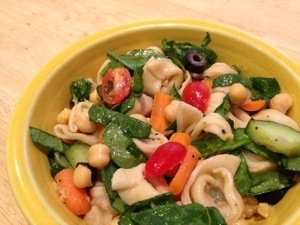 Tortellini pasta salad. I put in some fresh basil from my herb garden, and it was fantastic. I think I’ll be making this a lot this summer. 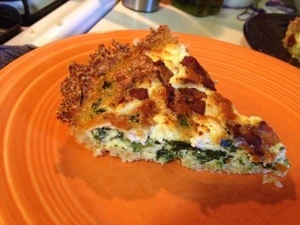 Quiche with a quinoa crust. Based on this recipe with fancier ingredients, I tweaked this and used spinach and bacon I had on hand instead of asparagus and artichokes. But still the goat cheese, because goat cheese. 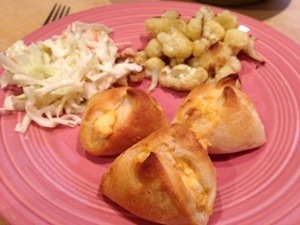 Buffalo chicken poppers. So fun and tasty! I simplified the recipe by mixing all the filling ingredients together. I also made some plain ones for the girls first, then added the buffalo sauce to the rest for Brett and me. Everyone liked them, though Violet pretty much only wanted to eat the roasted cauliflower. 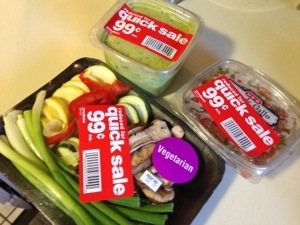 HEB has started discounting produce that is about to expire. So I can find some amazing 99 cent deals. These items originally totaled $14, mine for $3. It’s usually pre-cut produce, so convenient! This turned into easy veggie fajitas that night. 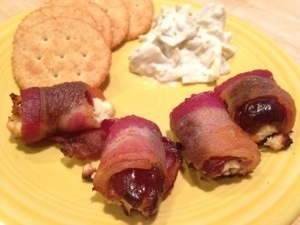 So those are some old favorites and new recipes that I’ve tried lately. Anything new you’ve tried lately and loved or hated?